Metamorphosis… was the first big word I learnt to spell. I think I was 8 or 9 and I delighted in telling anyone who couldn’t get away from me quick enough exactly what it meant. You would have hated me. 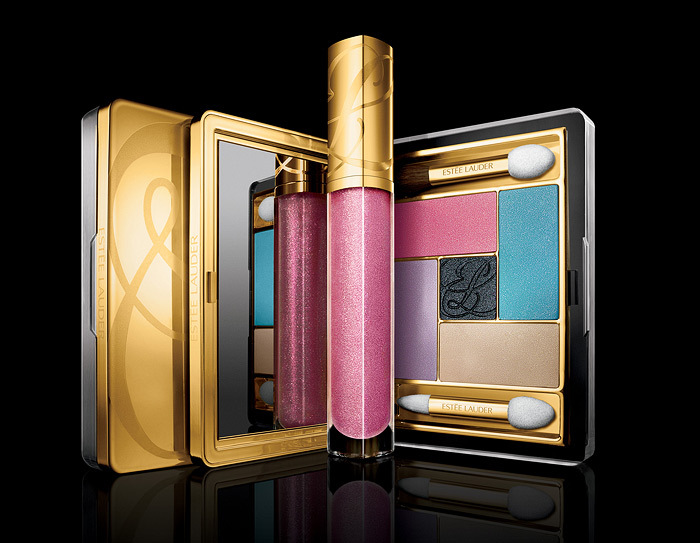 Something you might like a little better though, is this Spring Chinese-inspired palette from Estee Lauder, available exclusively at Harvey Nichols. Metamorphosis, Tom Pechaux’s creation is described as an ethereal combination of five metallic shades: Glistening Gold, Lavender Star, Pink Drama, Glacial Blue and Black Crystals. Looking much brighter in the pan than when translated onto skin it promises to give a look that is soft yet sophisticated, a look that is reminiscent of a butterfly at night, with its fluttering dark wings of delicate pearl and effervescent mystery. Right-o then! Doesn’t Liu Wen look beautiful? Sophisticated, powerful and delicate all at the same time. I think it’s a striking palette but sadly pastels look so pukey on me that you’d call an ambulance if you saw me wearing those shades. The Limited Edition Pure Color Five Color EyeShadow Palette in Metamorphosis is priced at £34.00 and available exclusively at Estée Lauder counters in Harvey Nichols only from 3rd January 2011.
liu wen’s face is SO striking! have you seen her photo for the EL’s wild violet collection? sooo pretty! anyway, i’m loving pink drama & glacial blue. can’t wait to see what they look like swatched! I feel you have to be of a specific skin tone to be able to pull off in a way that doesn’t make you look like you’ve smeared chalk over your eyes. If you’re too light, they wash you out and if you’re too dark, they either won’t show up or will show up as being white. Can you tell I speak from bitter experience? The only pastel colours that ever showed up pastelly on me were from the Stila Noire palette. I must admit even though pastels aren’t my thing a lot of the time, the colors are pretty and very sweet. Ohhhh well I think in the palette the spring release looks much more exciting, but those shades of violet don’t suit me so much. Pastels don’t too much either, but more so than violet shades. This palette is absolutely gorgeous! Sadly pastels look absolutely horrendous on me…I am so pale and they just make me look completely washed out I certainly look better in neutral browns, greys and bright purples. Metamorphosis is really a very beautiful word, no wonder you were so proud of it! As for the palette, like you said, it’s beautifu, but pastels usually don’t go with my skintone either. Same for me-I’d look ridiculous in these pastels. They are gorgeous looking though! I really love this, but I don’t live near a Harvey Nichols and they don’t sell Estee Lauder online, so won’t be able to get it (unless it pops up on eBay).